In this post I'm showing you how to remotely control your windows desktop using Ubuntu or any other distribution of Linux. This post is not targeted for novice user but s/he can also try this if s/he has few knowledge about IP addressing and little networking. Things you will need to have and configure. -- First of all you need to download free version of RealVNC 4.1 (click on RealVNC for link to open): To download next to 'executable', then tick 'I agree..." and click download and save the file. -- Now double click the downloaded file 'vnc-4_1_3-x86_win32.exe' and installation beings. I hope you all know how to install it so I'm not going in detail. 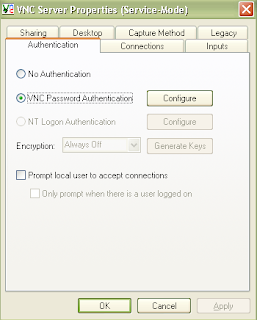 During installation you are asked to configure VNC server like in the picture. -- For security reasons its better to put the password for remote connection. 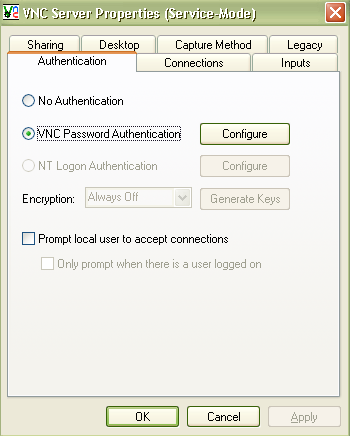 Like in this snapshot click on 'VNC Password Authentication'. Then click 'configure' next to it. -- After you click configure it asks you to type your password. Simply type your desired password two times and click 'OK' and then again OK to apply it. Now windows side configuration almost done. 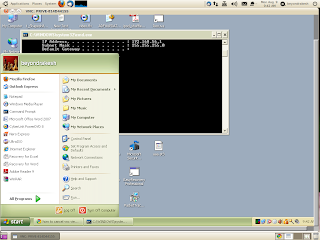 -- You need to download an application issuing this command 'sudo apt-get install xvnc4viewer' from a terminal as in this snap. Just type your root password and it gets installed in less than a minute. 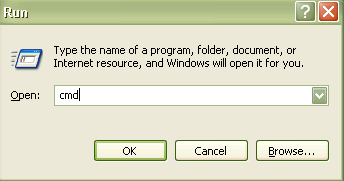 -- After installation you need to issue this command either in terminal or in 'Run Application Prompt' [i.e press Alt +F2]to access your windows desktop. 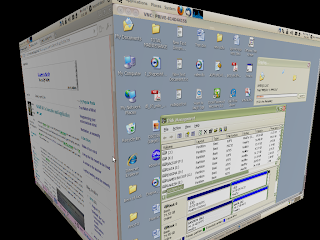 'vncviewer hostaddress' i.e. in my case 'vncviewer 192.168.1.5' without quotes. Then click OK or hit enter. 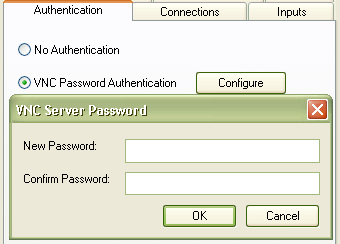 It, then asks for a password enter the password which you set earlier in VNC SERVER settings and hit enter [username is left blank]. 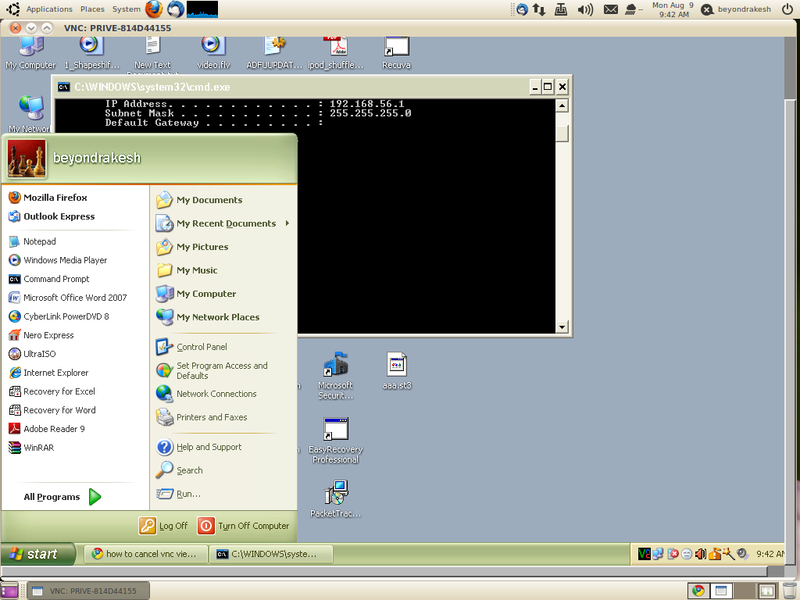 -- And finally here comes my windows desktop which I can control from my Ubuntu laptop. In this snapshot I'm copying the recovered data after doing data recovery steps from my Ubuntu in my desktop of another room. This technique is used because in some cases we still need windows. There are techniques thorough which you can run Windows inside a Linux or vice versa but you require very powerful computer with RAM 4GB or above. I guess everyone can try this thing and I also guess I do not need to write on how to remote control LINUX from Windows because there most of the Linux users can do it on their own after reading this post.